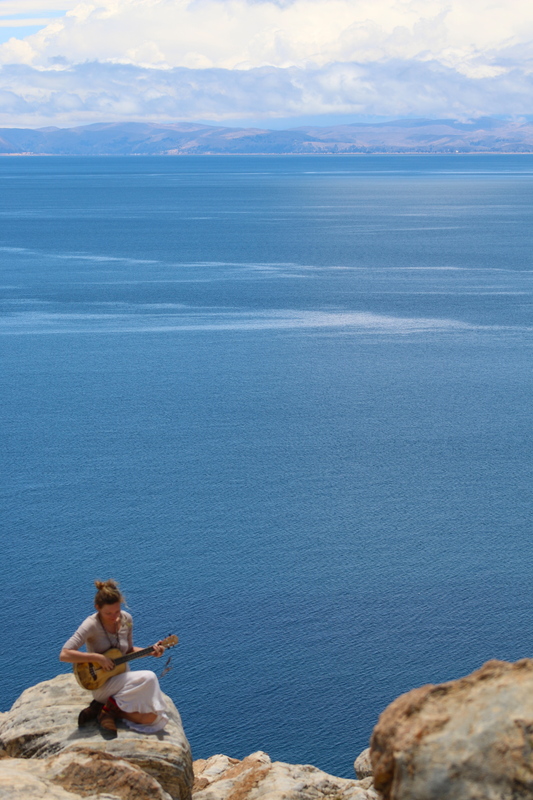 It takes a certain kind of courage to travel the world alone with one’s guitar. I’m not one of those people but I like it when I see it. When traveling alone, one gets to talk to new people and study one’s surroundings. When traveling with others, there’s a shared experience. Both are interesting. On the Island of the Sun, Lake Titicaca, Bolivia. Mostly, just get out there if you can. Be brave. Take water.